It's time for a fresh start! I'm rebuilding SwayLand and need space for new. 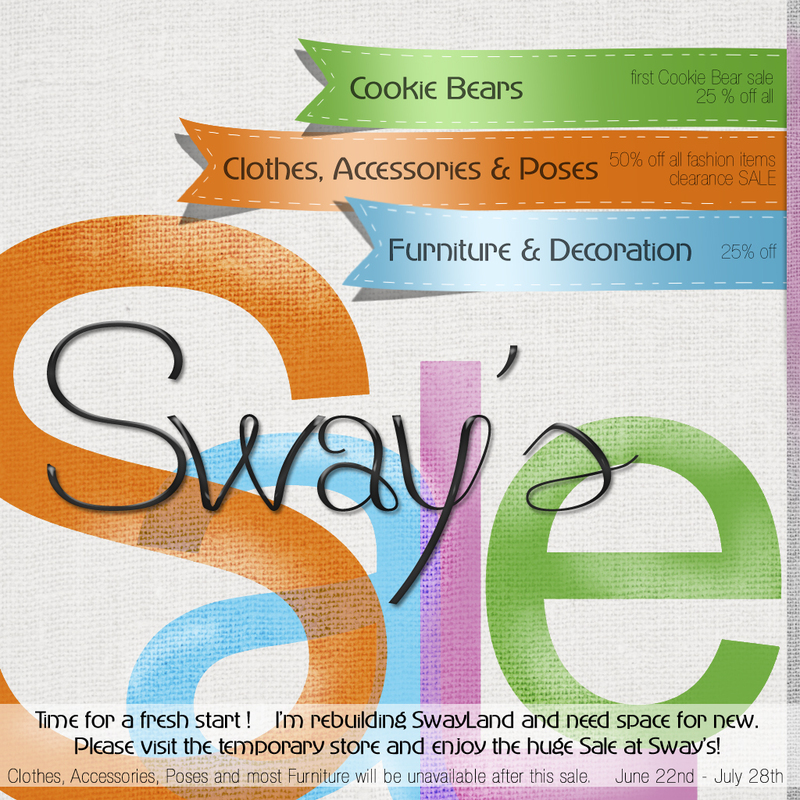 Visit the temporary store and enjoy a huge SALE at Sway's!!! clothes, accessories, poses and most furniture will be unavailable after this sale.